Fred White got the notice of scouts in high school, a 20-strikeout game will do that. That performance came in White's senior year, after a 0.64 ERA his junior year at Long Beach's Jordan High School. "His stock has really gone up," White's high school coach Bill Powell told The Los Angeles Times in April 1986. "He throws harder than he did last year, has a lot better control and his composure has improved. He expects to win when he goes to the mound. If he gets a (professional) pitching coach to teach him the right mechanics (after high school), his potential is unlimited." White ended up impressing scouts enough that year to get selected in the third round of the draft by the Twins. White, though, could never seem to realize that potential in the pros, getting a long, eight-season career, but only making it to AA once and never getting higher. With the Twins, White began at rookie Elizabethton, getting eight outings, six starts. He also posted a 5.11 ERA and returned to Elizabethton for 1987. In his second year in rookie ball, used in 11 starts, White failed to pick up a win, going 0-9, with a 7.53 ERA. For 1988, White moved to single-A Kenosha. In 22 starts there, he went 6-8, with a 3.36 ERA. It was, perhaps, his best season. 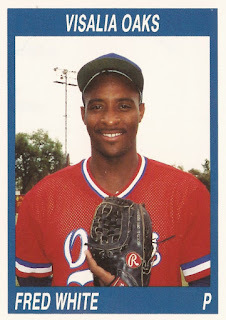 White moved to single-A Visalia for 1989, going 7-8 in 29 outings, 15 starts. His ERA increased to 6.79. White then returned to Visalia for the next two seasons, working mainly in relief. His ERA hit 5.45 in 1990, then 5.80 in 1991. In 1991, White also picked up 10 saves. For 1992, White made the jump to AA Orlando, picking up a relief win in early April. In mid-May, White came on in relief, pitching a total of 7.1 innings and giving up just one run. It was a performance that earned praise from his manager Phil Roof. "That's the best Freddy has been this year," Roof told The Orlando Sentinel after White's performance. White, though, had few other opportunities to perform. In all, he got into just 15 games for the AA SunRays that year, posting a 5.13 ERA. It was his final year in the Twins' organization. 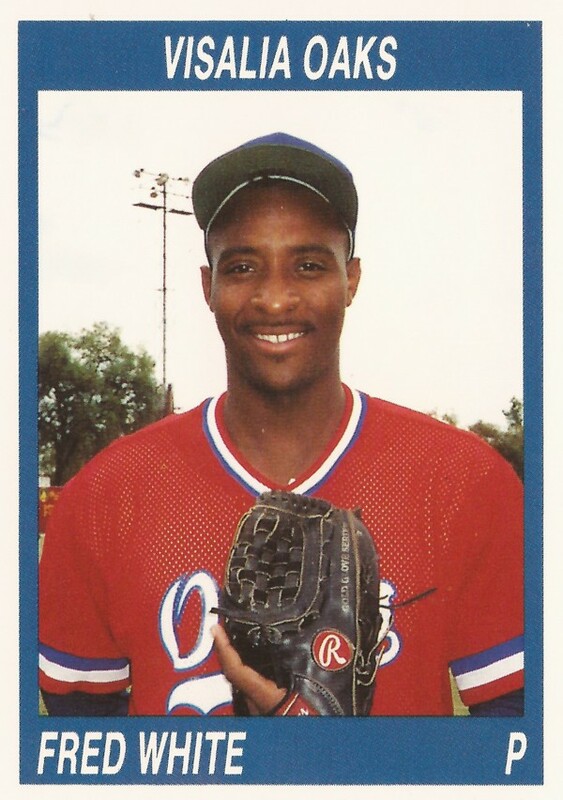 He returned for just one more season, getting into seven games in 1993 with the Cubs at high-A Daytona, ending his career.